The Freedom to Make a Creative Statement. 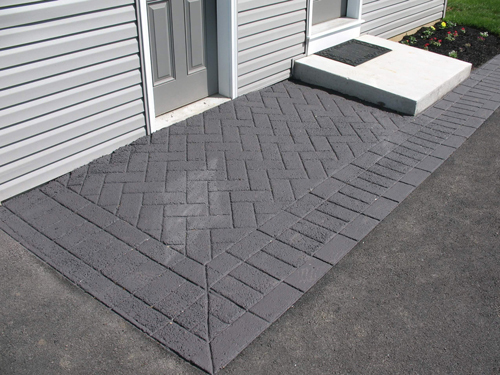 Make a statement with your pavement and entryway accents with stamped asphalt. With design and color choices to accent your environment, stamped asphalt replicates the warmth and beauty of hand-laid brick, slate or stone. 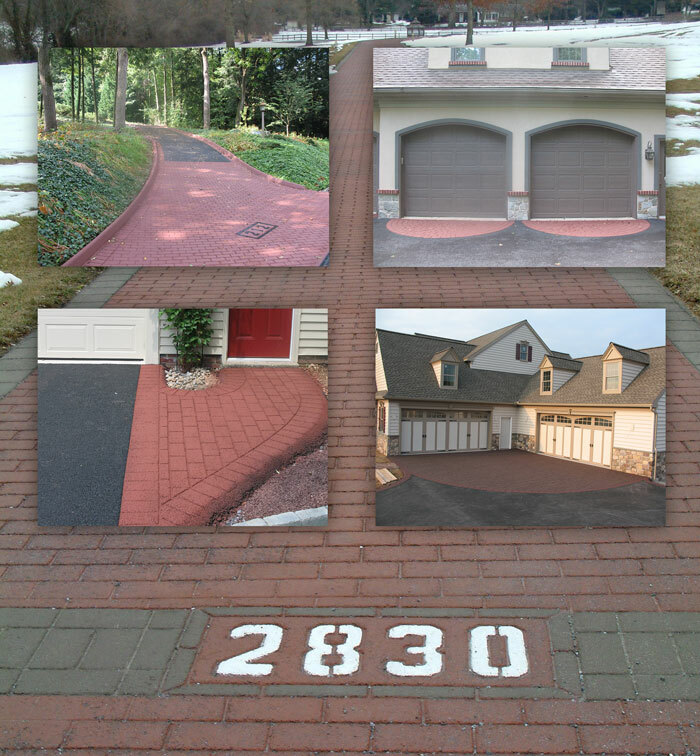 With savings of up to 50% compared to other decorative paving alternatives, stamped asphalt adds charm to any residential, commercial, or municipal application. Combine the flexibility and strength of asphalt with modern coating technologies for a unique and durable surface that requires little maintenance. Decorative Appeal - wide range of patterns and colors can be combined to create unique and eye-catching designs. Lower Initial Cost - efficient installation methods save labor costs. Durability - structurally sound asphalt base with no open joints or seams, like landscape pavers, which prevents shifting, weed growth and damage from snowplows and sweepers. Stamped asphalt lasts longer. Maintenance Savings - low maintenance requirements and repairs easily to “like new” condition. Extended Asphalt Life - a better looking, longer lasting surface. 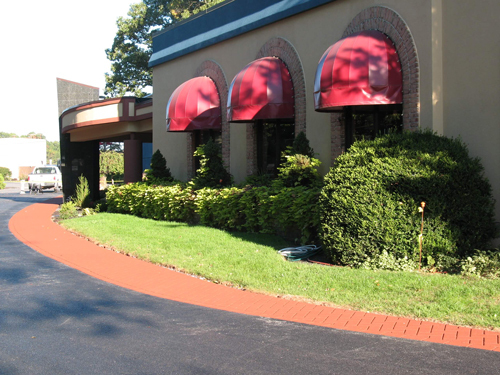 Stamped Asphalt can be installed on existing asphalt that is in good condition, which can provide significant savings on pavement removal costs. 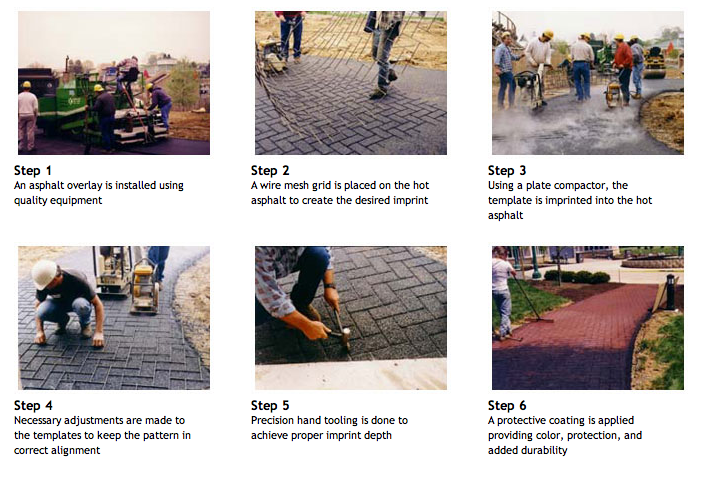 The asphalt base provides superior stability and durability compared to traditional surfaces such as brick pavers. 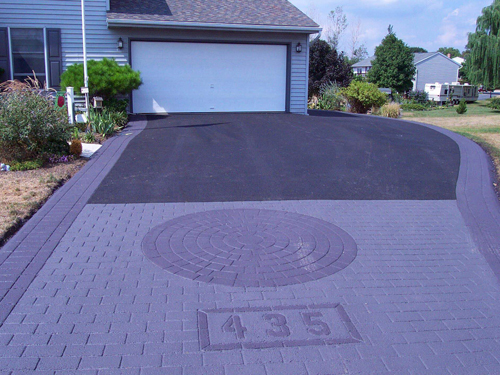 Stamped Asphalt application is faster, easier and less labor intensive to install than other decorative paving surfaces. 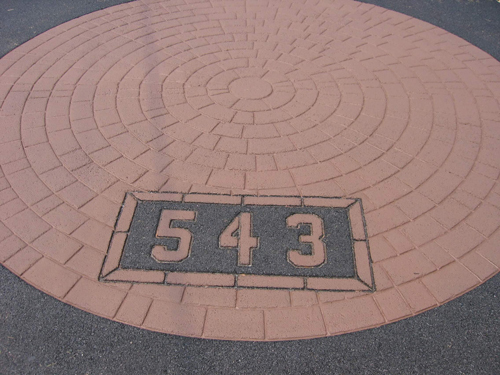 Stamped Asphalt replicates the warmth and beauty of hand-laid brick or other patterns through a revolutionary, patented process of imprinting asphalt. Contact B.R. Kreider to learn more! The color samples may not match precisely with their phycisal equivalents. Always refer to physical samples before making your color choices.